Enjoy a carefully crafted four course share menu based on great food matches, and if you have a special bottle of something sitting at home, for a small corkage fee this is the perfect time to open it. Bring along that special bottle and we'll take care of the rest. Bookings from 6pm to 8pm. $75 per person | $15 corkage per bottle. 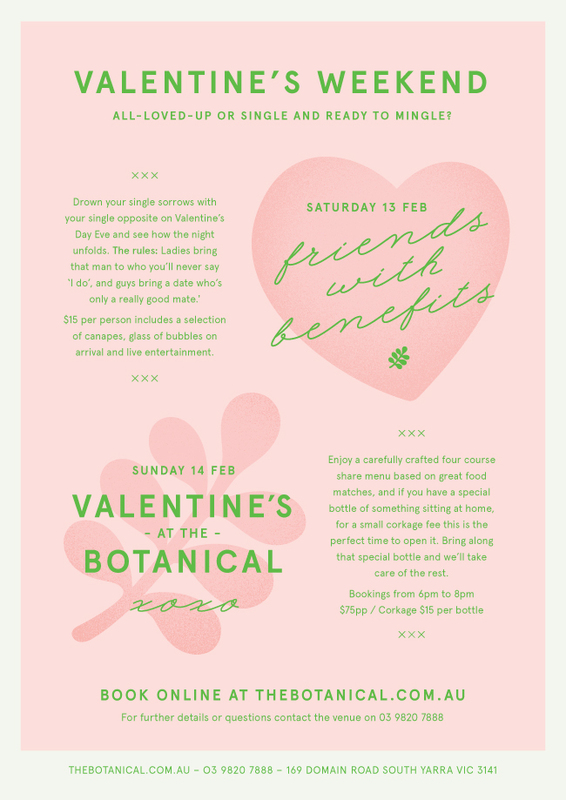 *Please advise the Botanical if you have any dietary requirements prior to booking.